Please help us welcome back Mette Ivie Harrison! 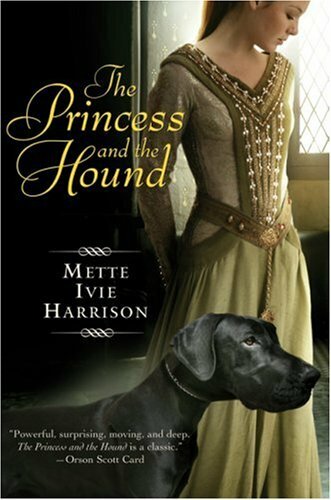 She wrote us a phenomenal guest post last week that also includes a giveaway of The Princess and the Hound. Make sure you check it out! Although your Princess books may not be a direct retelling of any one fairy tale fairy tale, there is a distinct fairy tale feeling to each of them, which is different from the way a traditional fantasy reads. Was this intentional, or just something that happened as you wrote? I studied German literature in college, and I have always loved fairy tales. I wanted very much to get the feel of a fairy tale in these novels. It's part never-never land and part Germany in the Middle Ages and part my idea of the perfect romance world all combined. I think I still imagine that the world is full of people who are trying to be heroes, wherever and whenever they live. As to intention, I wonder sometimes how much of any creative endeavor is really intentional and how much of it is simply the unconscious being let out freely. I don't outline my novels and I just have an idea of where the story might go, then let things play out on the page. My characters don't seem to be the kind who do what I tell them to do. Or maybe my unconscious just has better ideas than my conscious mind has. I think that I may be one of those people who is often thinking about how the world used to be and comparing it to the way it is now. I don't wish for that back, but I believe that people have not changed much over the centuries. Evolution just doesn't work that fast. So my characters are people in the same way that a contemporary novel's characters would be. I probably have lots of anachronisms, though I try not to write modern people back in time. I try to think how modern people would act if raised in the past and given the limited choices that existed in the past. How would they grow up? How would they think? How would they find a way to be heroic? There were moments in each of the 3 Princess books where each of our heroines feel uncomfortable in their skin. Is this an idea you included in the books intentionally? I don't know that I thought of it quite like that, but I suppose the teen experience is very much about figuring out how to feel comfortable in your skin. I know I felt very uncomfortable in my skin as a teen. Physically, I always felt like I was that fat kid in high school who couldn't run a mile and felt ridiculously self-conscious in a swim suit, despite the fact that I was on the swim team. Psychically, I was trying to figure out who my "group" was, who I belonged to tribally. I think I eventually found a circle of friends who remain friends of mine to this day, but it was a long road and it took the courage of refusing to be false to myself. I showed who I was and that was the only way I could find my real people. This story of figuring out who you are is a pretty universal one, and it's not just for teens, though maybe that's the first time it happens. In fact, The Princess and the Hound wasn't originally meant to be YA. I didn't know what it was, to be honest, and at least one editor rejected it because George was simply too old and he got married at the end of the book, which some YA novels shy away from. I think I write on the seam of YA and adult, which is why a lot of adults like my books, too. And really, aren't adults constantly reinventing themselves? I think if we aren't, we are stagnant. I have been taking adult piano lessons for the last four years, trying to reimagine myself as a musician (still not working). I also discovered triathlon competitions about 7 years ago and it turns out I'm really good at them. One of the things I do every day is yoga and I spend at least a minute trying to accept myself in the skin I am in, my body as it is, with all its flaws and its power. 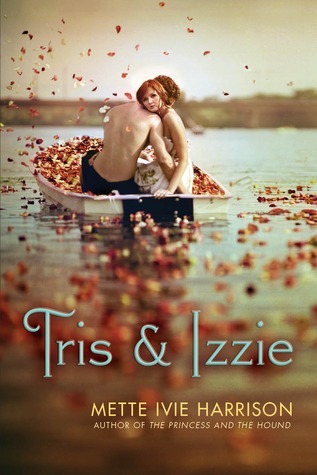 You have a new book coming out, Tris and Izzie (that I'm crazy excited about), a retelling of the the German story, Tristan and Isolde. Is there anything about your new book that you can share with us? Tris and Izzie is about a teen girl who doesn't know that she has magic. She has a boyfriend Mark King who is the basketball star and she thinks she is happy. But she tries to figure out how to make a love potion for her friend Brangane who obviously is in love with a guy who doesn't notice her. But it all goes wrong. She ends up falling in love at first sight with Tristan, the guy who was supposed to be Brangane's, and then she has to figure out how to be true to herself while the world around her is changing. There's a hidden magical world and lots of danger and a past she has forgotten and well, lots of other cool stuff. I've been thinking a lot about what I hate about romance lately, and there's a certain irony in the fact that I hate love triangles and I hate love at first sight romances and I hate it when girlfriends compete for the same guy. But those are all important parts of this story. I hope that I use those old ideas in a new way that makes this story feel very contemporary. I spent many years reading only literary novels for grad school, and I read fantasy on the weekends, on the sly. I didn't dare to even check the books out of the library for fear my professors would find out. I have a bit of a chip on my shoulder about the distinction between literary novels and genre novels. But I think I have finally become comfortable with the reality that I like my stories to have magic in them of some kind. It's not just that the stakes are higher. It's that I feel like there are certain experiences in life that are magical, and we don't have the right language to describe those experiences unless we turn to the supernatural. Romance is one of those experiences. It feels like it is part of another world, like we become different when we experience it. None of your characters have the traditional 'Happily Ever After'. Although the books may end mostly happy, or hopeful, that semi-generic 'Happily Ever After' feeling is missing. I've read some of your posts and discussions about romance in stories, and I have a pretty strong hunch that this was intentional. Care to expound? You should have read the first drafts. These are actually much happier endings than the versions I originally wrote. My editor convinced me to be slightly more optimistic. 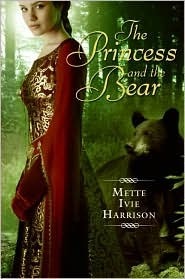 For example, at the end of The Princess and the Bear, I originally wrote that the bear gives up the ability to be human and she has to live as a bear the rest of her life. It made for a very odd wedding scene. I guess I don't much believe in HEA of the kind where they ride off into the sunset. The funny thing is, I consider myself to be a fierce feminist and yet a failry traditional wife and mom. I stayed home with the kids, but I have a PhD. So there's lots of weird combinations in my stories. I love romance and I write romance. I am a romantic. I love romance movies. I love Jane Austen. But I think the punch of the romance is taken away if it's too easy, if that makes any sense. Real romance is about choosing to be with the person you are with, not events overtaking you and you having no other choice. That's my opinion, anyway. The best romance is when both sides are strong characters who have important things to do in their lives unrelated to the romance. I didn't give up who I was when I got married and had kids. It can be tempting to let go of yourself, but I have trained my kids that I am a writer as well as a mom. Since they were babies, there was a strict nap time rule. If they weren't sleepy, didn't matter, I got some time to myself. I think the same goes for real-life romance. It is desperately important, but it's not the only thing that's important in the world. 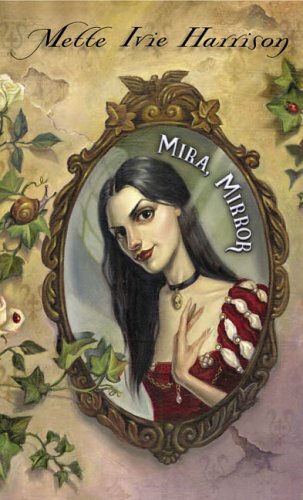 Although the story is very much your own, Mira, Mirror is a retelling, of sorts, of Snow White. How did you decide to tell the story of the mirror and the Queen rather than have Snow White be your main character? Mira, Mirror began as a sort of experiment. A friend of mine said that you can't write a novel with an inanimate object as the viewpoint character. I took it as a challenge and tried to think of the most interesting inanimate object I could. The mirror in the Snow White fairy tale came to mind fairy soon, and I knew there would be magic in it. It was one of my first attempts to write YA fantasy, and when I brought it to my group, they all said that I had finally found what I should spend my life writing. They felt like it was just so unique and no one else could tell a fairy tale like that. It's not a retelling really and it's not a twisted fairy tale. I don't know quite what to call it. But in this case, I never intended for Snow White or the Queen to be main characters. It was always about the set up to the fairy tale and then the aftermath. In the original version, however, the mirror had never been human. It had a face and could talk, but it had learned everything it knew about humanity from the evil Queen. To make her more relatable, I gave her a backstory and then a quest to be human again. Having written both a retelling and a fairy tale-esque story, which do you prefer? What are the limitations and benefits of each telling? What are your thoughts about writing for each of these very closely related genres? One of the advantages of a retelling is that there is already a certain shape to the story, almost as if you had a first draft written for you by someone else, and you only had to fix it up as a second draft. There is less fear of the blank page, if that makes sense. The blank page is always a terrible thing to face. Where does the story go? What happens next? No one knows except you, the author. This probably tells you way too much about what my first drafts look like. They are often not a lot like what the second draft is like. Maybe I should call those first drafts "exploratory" drafts. I get to know the general world and characters, but all of the events change and often not one word remains the same. Well, maybe one or two. Ironically, I spent about four years writing stories largely in first person, some in present tense. The Princess and the Hound was the first story I wrote where I tried to do a third person point of view. I had no idea if it was working or not, but it has been really successful. There's a certain fairy tale style in my writing that has a distance and an elevated language that is natural to me after years in grad school in German literature. It's updated, though, with a really intense psychological depth that you often get only in first person YA narratives. I am trying to combine the two. My readers will have to say if I've done it successfully. The number seven. I am obsessed with numbers and that is my favorite one. "Once upon a time there was a girl named Seven. She lived with her mother and father, One and Two, and her older sisters, Three, Four, Five, and Six." ~ Best fairy tale villain and why? It's always been the stepmother from Cinderella, because she has no magic and she still has all this power. I love the idea of writing a novel someday about the stepmother who refuses to even see the magic when it's right in front of her face. ~ Favorite tale from childhood? Favorite tale as an adult? Least favorites? I loved Hansel and Gretel as a kid. I think the idea of a gingerbread house really appealed to me. I liked to eat. A lot. I think I hate that fairy tale now because the parents are so disturbing. I like what Adam Gidwitz does to the story in A Tale Dark and Grimm. As an adult, my idea of "fairy tale" has expanded. Right now, I'm quite taken with the idea of retelling The Happy Prince by Oscar Wilde. Also, An Ideal Husband as An Ideal Boyfriend. I love Oscar Wilde. In fact, whoever is my favorite author at the moment is the author I want to do a retelling of. Oh, yes, Jane Austen is on the list, too. And Shakespeare's A Winter's Tale. And Goethe's Faust. I think I'd like to be Jack the Giant Killer. It's interesting how girl-centered fairy tales are always about getting married and boy-centered fairy tales are always about adventures and killing people. But maybe Jack could meet a lady giant and fall in love with her? And that find out that if they kiss, she turns evil? Wait, that's Buffy, isn't it? As a vegan, I suppose I'll have to pick magic beans. --style 50ft long hair or polish 100 pairs of glass slippers? Long hair isn't so bad. You just keep it in a braid all the time. And I hate high heels. I own a couple of pairs for weddings, but almost all my shoes are flats. I think I have a strangely unfeminine dislike of shoes. I guess I'll say Prince Charming, because I think every girl should be her own fairy godmother, in the end. What a wonderful interview! It's always great to hear the stories behind the books! It makes for truly fascinating reading! 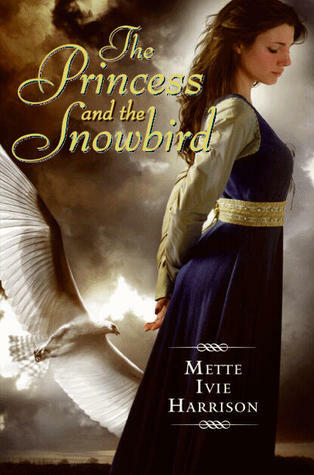 Thank you again Mette, so very much for being a part of Fairy Tale Fortnight! I didn't realize she also wrote the Princess and the Snowbird. I'm looking forward to checking her books out. Thanks for sharing!